Beverly / Fairfax / La Brea / Third St.
Dinner: Sunday, Tuesday-Thursday: 5:30pm - 10:00pm, Friday and Saturday, 5:30pm - 11:00pm. Closed Monday. Jar comes to you! From intimate dinners for eight to large scale events for 200, we freshly prepare and serve your Jar favorites in the comfort of your own home, office or special event venue. 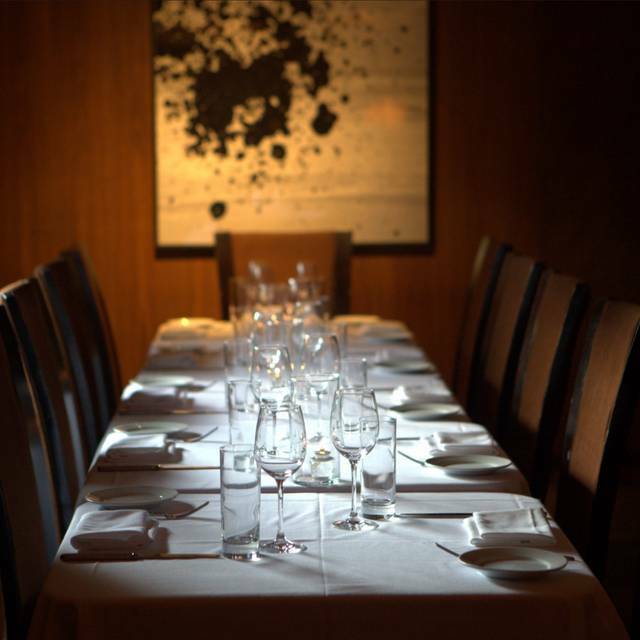 Our professionally trained catering team has years of special event experience and know-how. And, we are ready to handle every facet of your event. Everything with the attention to detail and personalized service that you expect from Suzanne Tracht and her team! For are Private Event/Catering Inquiries please contact Rosie via email at Rosie@thejar.com, or visit TheJar.com for more info. 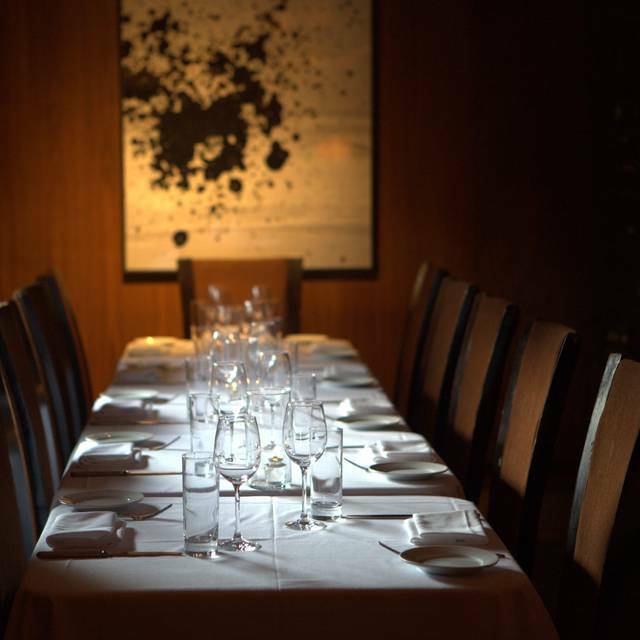 Private dining at Jar features great food and wines, excellent service, and a relaxing atmosphere in Suzanne Tracht's classic American chophouse. For are Private Event/Catering Inquiries please contact Rosie via email at Rosie@thejar.com, or visit TheJar.com for more info. Jar, the highly acclaimed restaurant by Chef Suzanne Tracht, is a modern day chophouse which fares great appetizers and salads, a la carte Broilers & Roasts, Braises & Sautes, supplemented by an array of sides and sauces, and dessert. 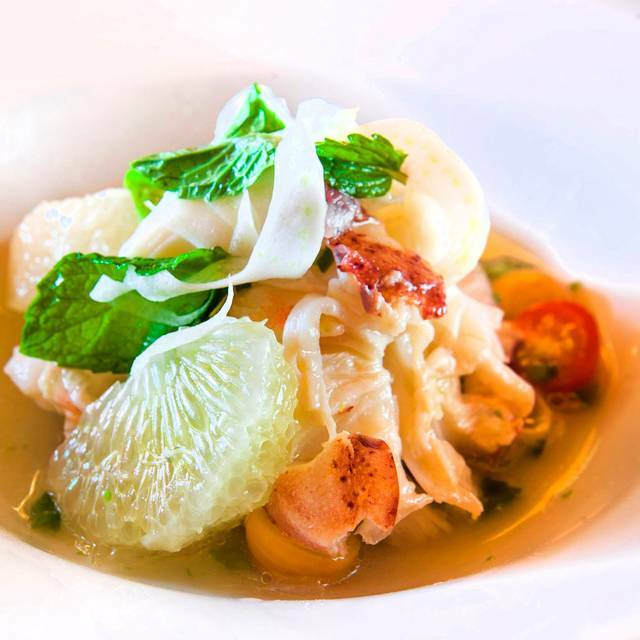 Chef Suzanne Tracht and Chef de Cuisine Preech Narkthong continue to create a contemporary American cuisine with dishes that appeal to everyone. 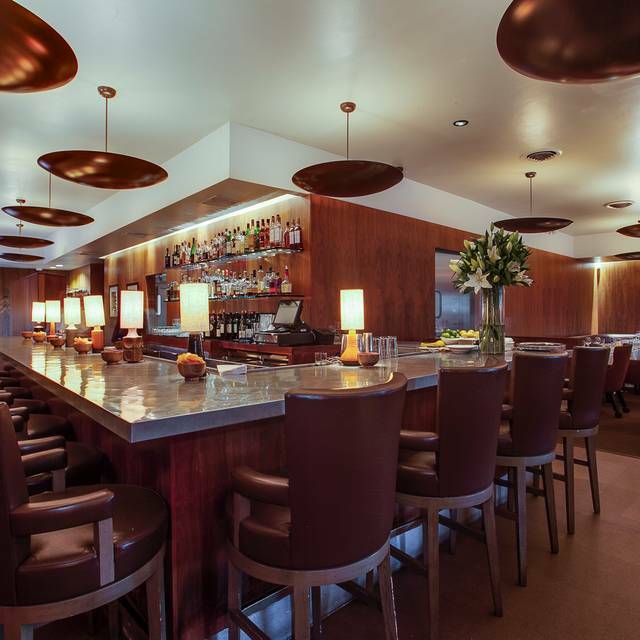 The room is infused with the artistry and flair of a 1940s Supper Club and the signature dishes have brought rave reviews for almost a decade. 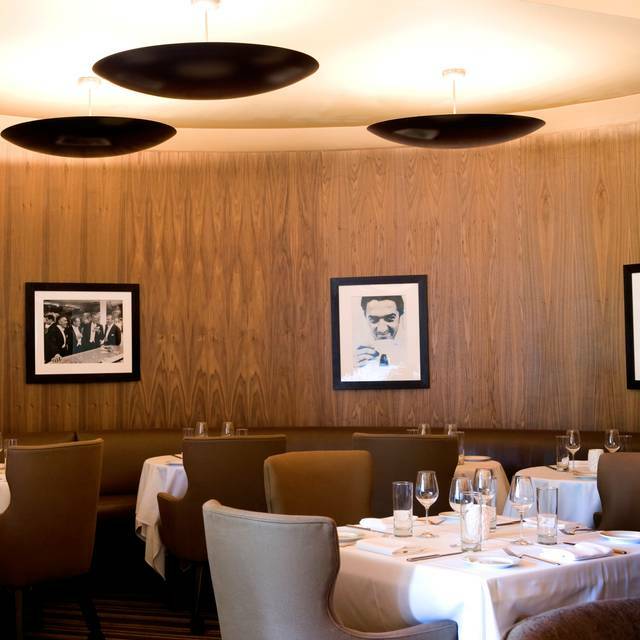 Be sure to join us for a last minute dinner at Jar Bar / Lounge. Check our website for menus and more. Dress code: Business Casual. We do not allow tank tops for gentlemen, a collared shirt is suggested instead. We also do not allow athletic attire, flip-flops, and caps. Jar serves all of your favorite dishes on Easter Sunday! And Chef Suzanne Tracht has some spring holiday specials in store! Loved the food. Ambience is old school but pleasant for a group. Had a great time. Dining at Jar is always a magical experience start to finish. The decibel level at Jar is very high and we will often choose a different restaurant just for that reason. Otherwise, it's a home run on almost every level. Much older clientele than I would have imagined..food was ok.. would not go back to this restaurant. Was very crowded so obviously there is a loyal following. food is good, expensive. Very noisy, hard to have a conversation. Even the waiters don't hear too well, mistakes were made, however, in this visit, they were corrected. Overall, we do like the restaurant, for a once in a while dining. Jar has consistently great food. We always enjoy going there for dinner. We have tried so many different dishes over the years. The pot roast is amazing and always tender and tasty. We have never tasted anything even close to it. The pork roast is also terrific. . On the rare occasion that we don't want meat, the fish is always a treat. 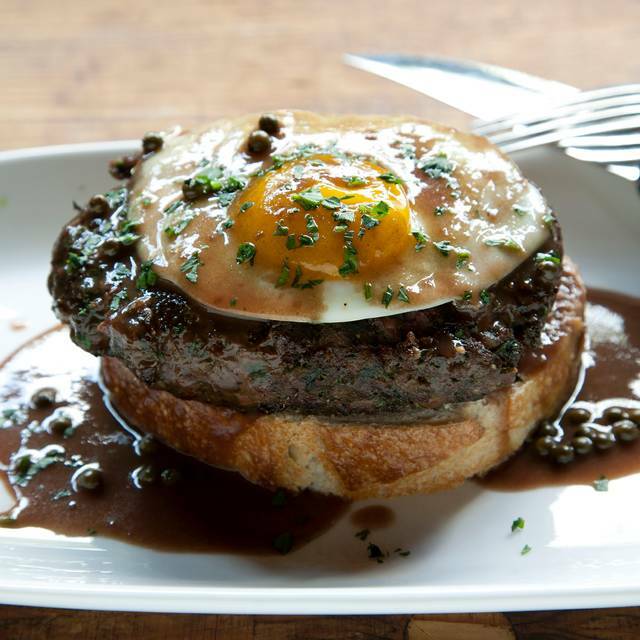 The specials never cease to amaze us, as there is usually something new and delicious to try. To cap off the evening, the butterscotch pudding and the chocolate pudding are over the top. Jar is just wonderful. The staff is always top notch and the food never disappoints. My favorite steak place in LA. Our dinners were delicious and were served by a very efficient waiter. The room was pretty loud, though. Jar is my go to place when I wish to enjoy fine dining, laughter and great food. Old school vibe and class with modern bones. Delicious food, great wine and terrific service. And the staff feel like preofessionals, not out of work actors. The lobster cocktail starter and rib eye steak were sublime and perfectly cooked. All of the side dishes were perfect except the kimchi Brussels sprouts, which were too salty. The service was lovely though at times a little too late when clearing plates. Loved our visit to Jar. Went for my birthday and the whole experience was excellent. Service was technically excellent while also being very welcoming. Kevin and the team made us feel as special as the regulars sitting around us. Definitely on my list to return to. If we lived closer we’d be there once a month! Food great. Service not so much. Waiter came over and dropped off menus and we made the mistake of not immediately giving our drink order because it took 15 minutes to see him again. When we wanted the check we finally asked a busboy to find him again for us. Find a nice spot at the bar among the just-right-din with a great bartender at your service. Order the filter mignon with lobster bernaise and with good company you'll be in heaven, no matter what. Food was a 10, ambiance was a 10, service was a 10. 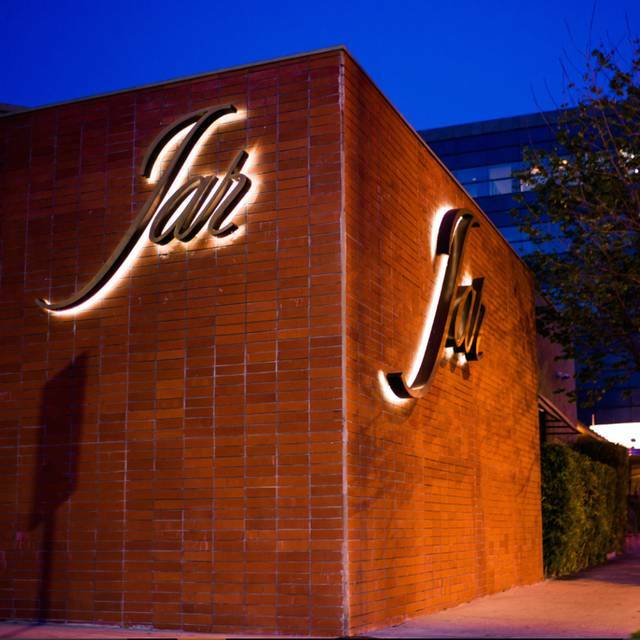 JAR has to be one of the best fine dining experiences in LA. The food was absolutely delicious and well presented. The service was superb and while it is not inexpensive, in my opinion, a good value for fine dining. I can highly recommend JAR. Amazing! Food is so good and priced well. Bar is awesome! Staff is impeccable and the entire experience is perfect every time. Great service and decent environment. A little loud; however, the food made up for the loudness. The pork chop and rib-eye will melt in your mouth. Excellent food. Food was delicious! Service was fantastic. Some food items were overpriced but a lovely evening. Food was good as it consistently has been for years. Cena deliziosa e personale assolutamente adeguato. Da consigliare sicuramente. L’unica cosa che modificherei è la luminosità che è leggermente troppo bassa. Nice place for a gathering-together. Steak is pretty nice. We always love Jar and usually have steak and vegetables. This time we were with a friend who does not eat meat and she and I had the salmon, which to our surprise, was quite undercooked (we eafch requested "medium, cooked through") as well as tasteless. We ordered some salad and vegetables as well and they were all very nice except one which had way too much chili in it. First time ever not enjoying the food. The ambiance and wait staff were wonderful as always. Pot roast and butterscotch pudding divine as always. was amazing but loud. food was great and will go agin. 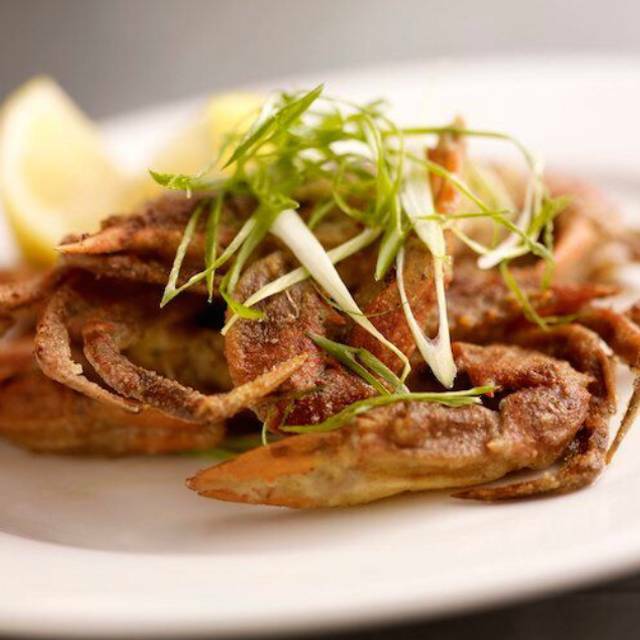 The dishes are outstanding and always look forward to a return visit. Sadly they forgot to put in my husbands order. Table of seven. Because coq a vin would take to long to start over, he had to share my dinner. We actually had to ask for a free dessert because no one even offered any kind of compensation for him missing his meal. The steak was tender, juicy, delicious and everything you would expect from a delicious filet mignon. The fries and truffle aioli were delicious! I was a little disappointed that they didn't have the heirloom tomato and burrata salad, but that did not stop me from having one of the greatest steak encounters in my life. The service at Jar is so excellent; I can barely compare it with any other restaurants. The drink that they made for my son was non-alcoholic, sweet, and delicious — a special 5-star meal. Great Sunday night fried chicken! Service was friendly and attentive. Awesome as usual! Every trip to Jar is an experience to be savored. This time I introduced 2 new friends from out of town to Jar. Whenever we are in LA, my wife and I MUST go to Jar. Put the pot roast, the duck fried rice, and the purple yams on your bucket list! The food and service were very good-I will return. Went for Valentines day and hadn't been in a few years. Service, Food and Vibe all great. Definitely a bit pricier than I remember. The restaurant seemed like it was over booked. I get it , it was Valentine’s Day, but I would imagine a restaurant of that caliber would not be so greedy and completely pack it’s floor with tiny tables and have people sitting elbow to elbow. We also had someone trying to fix a table next to us with literally no space, the staff was rearranging and moving this table so much that we had butts in our face for like 20 minutes!! We waited so long for our check and the service was so slow. I really enjoy Jar, and was looking forward to one of their steaks and creamed corn. My husband and I made reservations for Valentine's Day, excited to enjoy our favorites. It was not advertised on the Open Table website that it was going to be a Prefixe menu, so we were disappointed. The food was good, but not what we would have chosen. Also, it was very loud and crowded, not a surprise for Valentine's Day, but won't be our choice for the next Feb. 14. 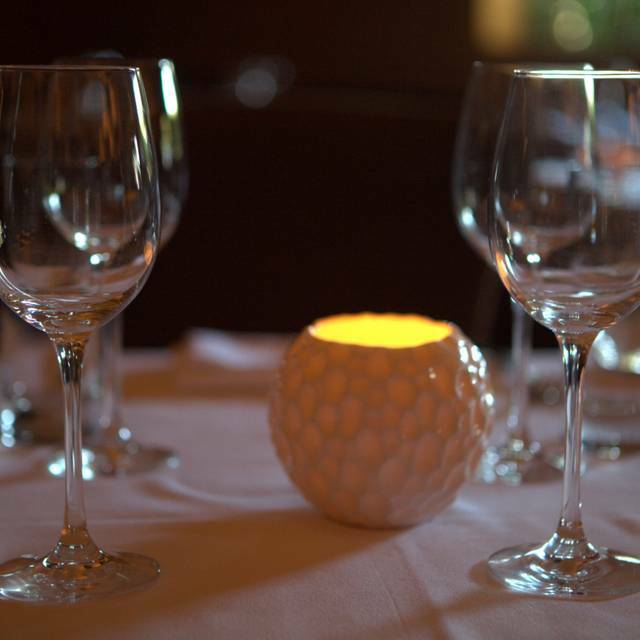 This is our go-to place for special/celebratory evenings. Valentine’s Day is no exception. Wonderful prix-fixe menu. Their specialty is pot roast...it was fantastic. Maybe we chose a bad day to celebrate our Valentine's Day, but to be honest, it's really sad for a experience with that's high price.